The Global Network Initiative seeks applications for the 2019 Google Policy Fellowship program. The Google Policy Fellowship program offers undergraduate, graduate, and law students interested in Internet and technology policy the opportunity to spend the summer contributing to the public dialogue on these issues and exploring future academic and professional interests. The fellow will receive a stipend of $7,500 for 10 weeks during the summer of 2019. Exact dates of the fellowship will be worked out by the Fellow and GNI, but the fellowship generally runs from early June to mid-to-late August.  The Global Network Initiative is an international multistakeholder group of companies, civil society organizations (including human rights and press freedom groups), investors, and academics that have created a collaborative approach to protect and advance freedom of expression and privacy in the ICT sector. The GNI seeks a Google Policy Fellow to conduct factual and policy research on issues related to freedom of expression, privacy, and business and human rights, to draft analysis to be incorporated into policy papers, reports, consultation responses, and other written pieces on business and human rights in the ICT sector, and to support GNI policy and learning efforts. The fellow will work closely with the Directors of Policy and Learning & Development, respectively, as well as with other GNI staff and the GNI’s network of over 60 participant organizations. Areas of focus will be determined based on the Fellow’s background and interests but could include contributing to research and policy advocacy related to disinformation, intermediary liability, surveillance, cross-border data flows, network disruptions, and more. Regional expertise on these or similar issues is welcome but not required. Further information about the program is available at the Google Public Policy Fellowship website. The deadline to apply to the U.S. fellowship is Friday, February 15th at 12:00 p.m. ET/ 9:00 a.m.